The Virginia Residential Landlord and Tenant Act (hereafter VRLTA) handbook has been prepared to provide information on the rights, remedies, and responsibilities of landlords and renters concerning the rental process. Before signing a lease, prospective tenants should read and understand the terms of the contract. More information and Program Contact for VRLTA. Fair housing is a term that refers to a person's right to choose housing free from unlawful discrimination. It means that housing choices are not restricted by decisions based on characteristics that have nothing to do with housing. Federal, state, and local fair housing laws protect people from discrimination in housing transactions such as rentals, sales, lending, and insurance. 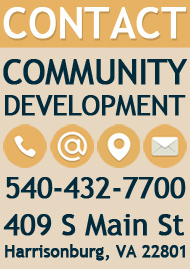 More information and contacts for Fair Housing. 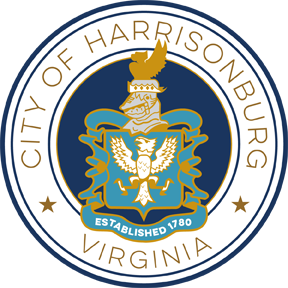 The Zoning Ordinance of the City of Harrisonburg outlines the regulations governing the use of the buildings and premises, the height of building, the size of yards, etc. The City issues violation notices for zoning violations. Residents and property owners should ensure that their property is maintained according to City requirements. Tall grass and weeds must not exceed 12 inches in height from April 1 to November 1. Junk, rubbish or garbage must not remain or accumulate on the property. Indoor furniture is not permitted outside. Inoperable vehicles or vehicles with expired tags may not remain on the property. The City of Harrisonburg is divided into different zoning districts where certain land uses (residential, commercial, industrial) are allowed or are prohibited. Within zoning districts that allow residential dwellings, there are occupancy restrictions which limit the number of unrelated people who can reside within a dwelling. Violation of occupancy restrictions could lead to eviction from the property. Before signing a new lease agreement, check the zoning regulations for a property to confirm the occupancy of the dwelling is legal or call the Department of Planning and Community Development's Planning and Zoning Division at 540-432-7700 to inquire. *"Nonowner Occupied" means that the owner of the dwelling unit (house, duplex, townhouse, or apartment) does not live there. +"Owner Occupied" means that the owner of the dwelling unit (house, duplex, townhouse, or apartment) lives there.